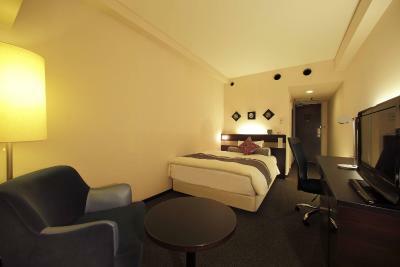 Lock in a great price for Crowne Plaza ANA Kumamoto New Sky – rated 8.5 by recent guests! There is a gift shop in the lobby & complimentary coffee. Breakfast was good. The staff members were nice. Having 3 elevators meant little waiting time going up to my room or back down. room located high floor with river view as request, room amenities is superb !! Spacious & very clean room, staffs are polite and helpful, convenient - airport bus stop & tram stops are beside and nearby the hotel. Rustic, tranquil and relaxing. Staff were wonderful. Dinner and breakfast were great. Everything we need was there. Room was toooooo cute with Kumamon decorations. Worth the extra charges. View was nice. Free shuttle was especially convenient considering the location. The hotel was located in a great spot. Very close to the train station and they also provided a shuttle service to the station at very regular intervals. The rooms were large, with enough room to move around in (unlike other Japanese hotels we stayed in on the trip). The breakfast buffet was very diverse, catering for Asian-style breakfasts and western breakfasts and even had a chef cooking eggs any way you like them and omelets with your choice of ingredients. The staff were extremely helpful. We had issues trying to book a tour so they rang the tour company and also organised bookings on the bus. I had tried to do that myself but no-one at the tour company spoke English so the help I received from the staff at the front desk was superb. Staff was super helpful. We had a sudden emergency and the front desk staff was so helpful and we are very very grateful for his help. Thank you So San. Breakfast buffet was a favourite. Room was comfortable. Massage service available. Staff were friendly. Location was right next to the tramp station to get to the castle for sight seeing. Hotel staff is so helpful, and they have staff can speak English. Crowne Plaza ANA Kumamoto New Sky This rating is a reflection of how the property compares to the industry standard when it comes to price, facilities and services available. It's based on a self-evaluation by the property. Use this rating to help choose your stay! One of our top picks in Kumamoto.Crowne Plaza ANA Kumamoto New Sky is an 8-minute walk from JR Kumamoto Station, and a free 2-way shuttle is provided. It offers modern accommodations with 2 restaurants and rooms with free WiFi. Guestrooms offer both air-conditioning and heating facilities. 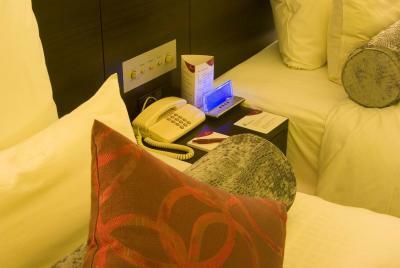 Each room is equipped with a fridge, an electric kettle and a flat-screen TV with satellite channels. Suncielo Restaurant serves a variety of Italian dishes, and offers all-day dining options. Japanese dishes can be enjoyed at Kohrin Restaurant. Kumamoto Newsky ANA Hotel is a 30-minute drive from Kumamoto Airport. The Kumamoto Castle is a 15-minute walk from the hotel. This property is also rated for the best value in Kumamoto! Guests are getting more for their money when compared to other properties in this city. 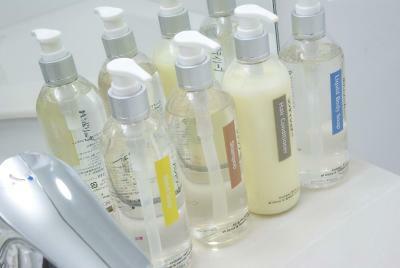 When would you like to stay at Crowne Plaza ANA Kumamoto New Sky? This twin room has a seating area, electric kettle and air conditioning. 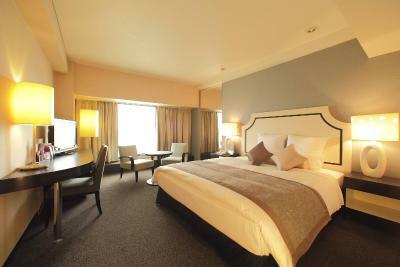 Deluxe room comes with an extra large double bed (71 in wide) and 2 single beds (47 in wide). Please note bed type and smoking preference cannot be guaranteed as it will be allocated upon arrival based on availability. 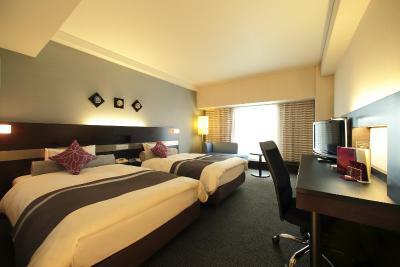 Located on the 18th floor, this double room has a seating area, air conditioning and electric kettle. The bed is 71 in wide. This air-conditioned room comes with a fridge, an electric kettle and a flat-screen satellite TV. The bed is 55 in wide. 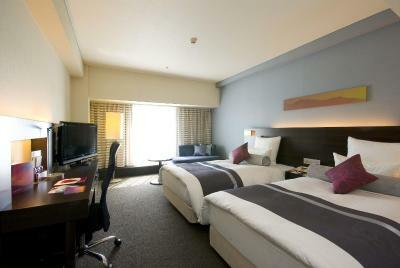 Executive twin room located on floor 19 to 22 and has air conditioning, electric kettle and seating area. This twin room has a seating area with a flat-screen satellite TV and air conditioning. This room is located on floors 8 to 17. 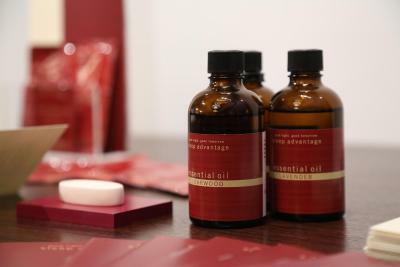 House Rules Crowne Plaza ANA Kumamoto New Sky takes special requests – add in the next step! Crowne Plaza ANA Kumamoto New Sky accepts these cards and reserves the right to temporarily hold an amount prior to arrival. Please note, the property will be strictly nonsmoking from 1 April 2018. The only issue with the location is that it was a bit of a walk to the main restaurant area although there's a tram on the next block so you could always use that. Wish the house keeping and restaurant staffs can speak English. We had a little bit of trouble trying to get room service ordered. The bed size is not big enough for one adult plus one 3-5 yrs kid, we all could not sleep well during our stay. Air conditioner can not be well adjusted, kind of too hot in the night. I was a bit disappointed since I'm a big fan of the ANA Crowne Hotel chain. Everytime I stay at 1 of their hotels, I rate them 8+/10. However I can't say the same about the ANA in Kumamoto. The rooms are OLD, dusty & need renovation! The window can't be opened. My room felt really stuffy, plus the AC was not working properly. I was sweating a lot & did not sleep well for my 2 night stay. There's a plenty of snack in refrigerator. I thought it was hotel services but unfortunately we have to buy it. It gonna be a trap if we don't ask the staff. And honestly the location is little bit far from the downtown of kumamoto. The view from room is very beautiful. You can see sunset and sunrise in the middle of city of kumamoto. I also like the services on hotel, they give us free upgrade room because my friends birthday. Like most hotels in Japan, the Air Conditioning can only be set to heat, leaving the rooms a little too warm for my tastes. The nearest convenience store is a couple of blocks away. The staff are a cut above the usual hotel - classy, well spoken and of course very helpful. My wife and I took a buffet dinner on the day we stayed (we were attracted to go into the restaurant at lobby because the buffet dinner included "snow crab"). But we surprisingly found that there were basically no starter, no fresh fruits and no dessert in the menue (might be some Japanese food we were not familiar with are starter, I am not sure !). Hot meal and sushi are in room temperature. When we asked for the bill, we then were given a glass of ice cream before leaving. The room is spacious, and bed is comfortable. The shuttle bus from Kumamoto train station is cute! With Kumamon next to it. Room is very spacious for a standard twin room. Very accommodating for preparing baby cot for us. Check in is fast, hotel near tram station, and has a river view.